Accra, Sept. 27, GNA - Ghana’s second-largest telecommunications network, AirtelTigo has commenced preparatory work towards the network integration and upgrade in the Western, Central and Greater Accra regions, which will be completed in October, 2018. 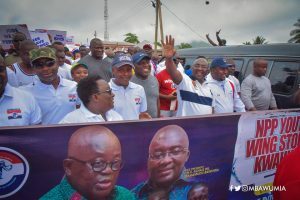 This follows similar consolidation exercises undertaken by AirtelTigo in the Northern, Upper East, Upper West, Brong Ahafo, Ashanti, Eastern and Volta Regions. A statement from the Network integration and upgrade said the exercise was aimed at offering an enhanced customer experience, by providing superior voice quality, faster internet speed and wider coverage. The Chief Executive Officer of AirtelTigo, Mrs Mitwa Kaemba Ng’ambi, said she was eagerly looking forward to the successful completion of the network upgrade to enable customers enjoy the full benefits. “Our customers in Western, Central and Greater Accra Regions, will soon experience the enhanced network service of one big AirtelTigo family. We remain sincerely grateful for your cooperation during the period,” she added.